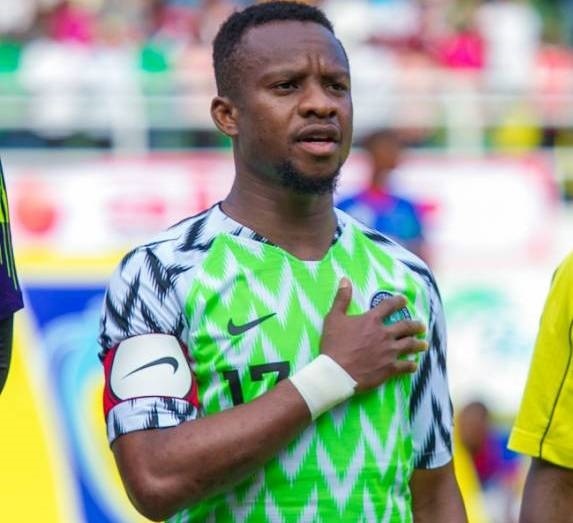 Super Eagles midfielder Ogenyi Onazi has been ruled out of Nigeria’s back-to-back crunch Africa Cup of Nations qualifying matches against Libya but he is keenly interested in how the double-header will pan out.. The nature and extent of Onazi’s injury could not immediately be ascertained however but the player is not losing sleep instead he has called on his teammates to get the job done against the Libyans. READ ALSO: AFCON Qualifiers: Super Eagles Striker Fired Up! Something cold for the stubborn Achilles. Wish my team all the best today common guys we can do it. ?? 9ja ???? Libya top Group E with four points after two rounds of matches, while Nigeria are third on three points.